Here’s my schedule for PantheaCon 2017, which will be held at the DoubleTree Hotel in San Jose, California. In addition to my own events, I’ll be co-hosting the Weiser Books Hospitality Suite (Room 1066). We have all sorts of fun and interesting events planned. I’ve mentioned some of them in this post, but events will also be posted on the suite door. Please stop by and visit with us. The schedule below is accurate as I write, but subject to change; please double check schedules. Some plants are profoundly identified with witchcraft. They may be treasured for these associations or conversely, they may be shunned. What is it about these plants that underlies these associations? The reasons vary. Join author Judika Illes in an exploration of the witchcraft plants—how to recognize them, benefit from them, and cultivate relationships with their plant spirit familiars. 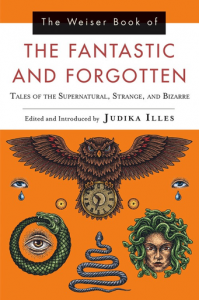 Judika has written extensively about witchcraft plants in her own books and she was also the editor of brand new Weiser publication, The Witching Herbs by Harold Roth. 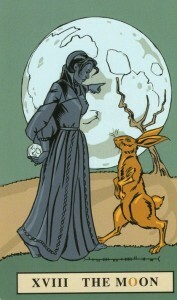 There will be a tarot-themed coloring contest from 1-3 pm in the Weiser Hospitality Suite (Room 1066). There will be prizes! 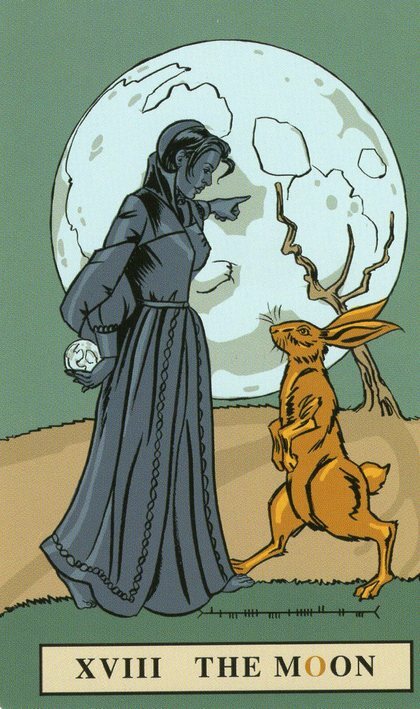 Images are from another brand new Weiser publication, Tarot by Design Workbook by Diana Heyne. The very charming, very savvy, and very experienced acquisitions editors of Llewellyn and Weiser team up for an eye-opening look at Pagan and esoteric publishing! Join Elysia Gallo and Judika Illes as they explain how decisions are made, what their meetings are like, how book covers come to life, what publishers expect of authors in marketing themselves, why Hungarian-Americans make such great witchcraft editors, and more. They’ll save time for a publishing Q&A as well. Afterwards they will be taking pitches in their respective hospitality suites upstairs. Don’t miss this groundbreaking event! Following this event, there will be a Publishing Salon, beginning at 5:30 pm in the Weiser Hospitality Suite (Room 1066). 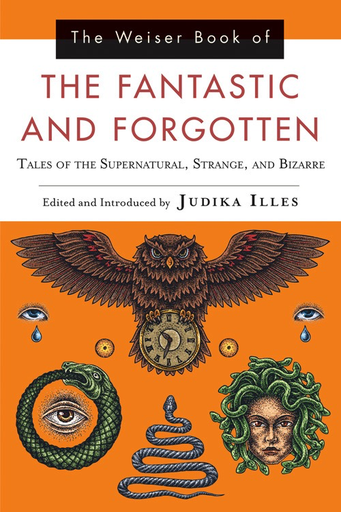 Midnight Spooky Story Hour in the Weiser Hospitality Suite: Judika will be reading from The Weiser Book of the Fantastic and Forgotten. Join Judika and other Weiser authors for Parapalooza at 7:30 pm in the Weiser Hospitality Suite (Room 1066). What’s a parapalooza? It’s an event where authors read one—and only one!— paragraph from one of their books to an audience, ideally an enthusiastic one. It’s fun and cheering and applause are very welcome. At some point during the weekend, I’ll be offering free readings in the Weiser Hospitality Suite using the English Magic Tarot.